Updating your DJI Goggles firmware is very important. Each DJI Goggle update will contain fixes for bugs and add new features. Here we show you how to update the firmware on your DJI Goggles using either the DJI Go 4 app or the DJI Assistant 2 app. 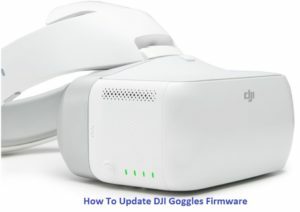 Along with the instructions, you will also find notes and videos on how to upgrade the DJI Goggles firmware. We also take a quick look at the release notes from previous DJI Goggle updates and the new features and issues fixed. Launch the DJI Assistant 2 app on your computer or laptop and login with your registered DJI account. While switched off, connect your DJI Goggles to your computer or laptop using the Micro USB Cable. Power on the DJI Goggles. Select “DJI Goggles” and click “Firmware Upgrade”, which is on the left hand side. The DJI Assistant 2 app will download and then upgrade the firmware automatically. Restart the Goggles after the Firmware update has been completed. 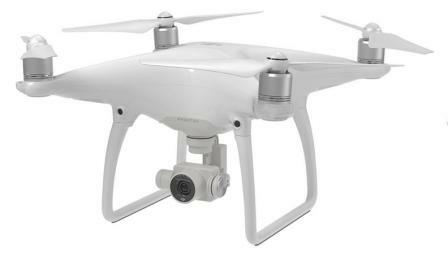 It is best to download the DJI Assistant 2 app and then log into the Assistant 2 app before connecting the DJI Goggles using the Micro USB cable. If you connect the DJI Goggles before logging into the Assistant 2 app, then the DJI Goggles may not appear in the Assistant 2 app. Also if you receive a Driver Signing error in Windows 10 and the DJI Goggles are not showing in the Assistant 2 app, try the above procedure again. Disconnect your Goggles from the computer. Log out and back into the DJI Assistant 2 app. Then connect your Goggles and switch them on again. If you still receive the error, then you may need to “disable driver signature verification” temporarily. If you search for “disable driver signature verification” in Google you will find the instructions. Switch on Mavic Pro quadcopter, the Remote Controller and also the DJI Goggles. Connect the remote controller to a cellphone or tablet device through the charging port using a micro USB cable. Make sure your cellphone is connected to the Internet. Open the DJI Go app from your cellphone or tablet device. A prompt will appear if a new version is available for upgrade. Click on the “Upgrade Now” button in the top right of your screen which is highlighted in red. Click on the blue “Download Now” button which will start to download the latest firmware release. When the Mavic firmware file has completely downloaded, click on the blue “Start Update” button which appears further down the screen. When the upgrade process has finished, click the blue “Complete” button at the bottom of the screen which will finish the process. 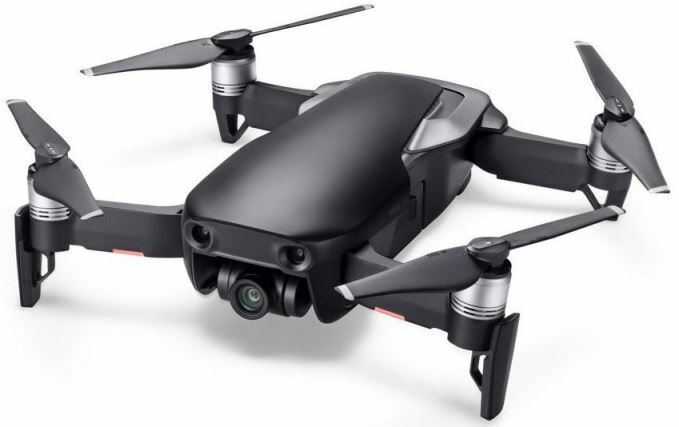 Restart the Mavic Pro quadcopter, the Remote Controller and also the DJI Goggles. Note: You can also update the Mavic Pro drone and RC using the DJI Assistant 2 and DJI Go 4 app. Note: Use the DJI Go 4 app to upgrade the Mavic drone, Remote Controller and DJI Goggles at the same time in Standard Mode. Download the DJI Assistant 2 app on to your computer or laptop. Then log in to the DJI Assistant 2 app. Next connect your DJI Goggles using the Micros USB cable to your computer or laptop. Turn on your DJI Goggles. Wait a couple of seconds and your version will appear. There will be an upgrade button if there is a new release available. Here is a very nice easy to follow video showing you how to update the DJI Goggles using the Assistant 2 app. When you want to see what new features have been added or bugs fixed for your DJI Goggles, you need to read the release notes for the particular DJI drone it is being used with. Reading the release notes is very useful to give you an insight to the problems being fixed and even new features being added to your DJI product. Some of the problems you may not have experienced or others maybe you have noticed the issue but you were able to live with it. Added Head Tracking for Spark (with firmware v01.00.0600 or later), the Inspire 2 (with firmware v01.01.0200 or later) and the Phantom 4 (with aircraft firmware v2.0.0.16 or later and remote controller firmware 1.9.3). Added remote controller signal strength icon. Updated the user interface to indicate aircraft nose positioning when using Head Tracking Gimbal and aircraft range when using Head Tracking Flight. Added imperial units and camera grids as options. Fixed an issue where certain Camera View information wouldn’t display with an HDMI connection.